Lake-Worth-Divorce-Attorney | Harvey Waddell & Layton, P.A. Our law firm has been handling Divorce and Family Law matters in downtown Lake Worth for over 30 years. Divorce is a difficult time, both emotionally and financially. You need an experienced and trusted guide to lead you through the various legal issues which arise during the divorce process. Our firm stands by the reputation we have built assisting clients that are facing divorce in Lake Worth or the surrounding communities to obtain the best available solution. We look forward to earning your trust and becoming your Lake Worth Divorce Attorney. 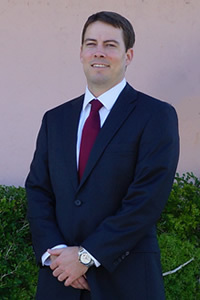 If you are seriously considering Divorce in Lake Worth or the surrounding communities, please call or E-Mail Lake Worth Divorce Attorney Chad Layton at (561) 585-4631 or Email to schedule an initial consultation. Mr. Harvey went on to establish Harvey, Waddell, Monahan & Layton in 1978 and built our law office in downtown Lake Worth on Lucerne Ave adjacent to the Post Office. Our law firm continues to thrive in the same location more than 30 years later by providing quality legal representation to Lake Worth Divorce clients and the surrounding communities.